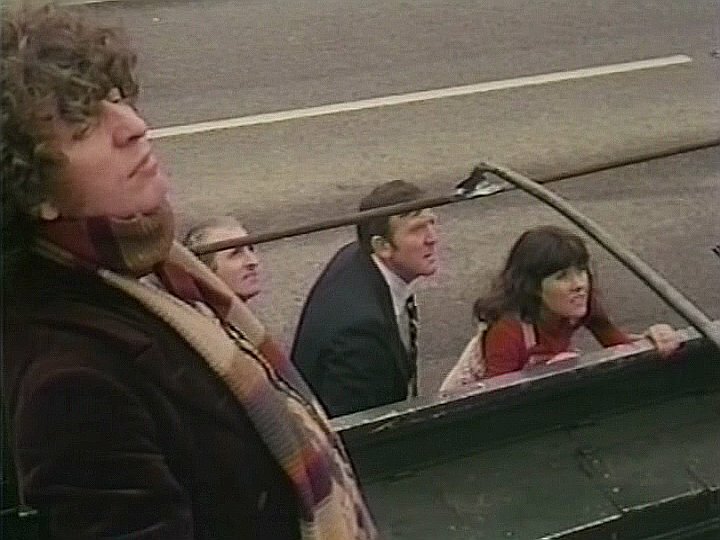 DVD REVIEW: DOCTOR WHO – THE HAND OF FEAR aka the SEXIEST DR WHO Villain?!!!? 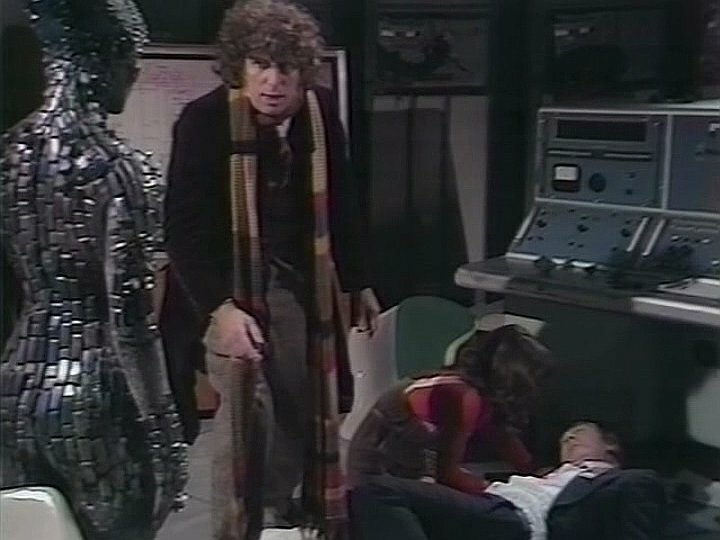 Well that’s a strange heading for a blog post I admit, but I was re-watching the 1976 episode of DOCTOR WHO: THE HAND OF FEAR, and man is this a ‘rocking’ episode of Doctor Who! Okay the following contains spoilers for the episode (as well as a smattering of risque adult themed humor :)), now you regular readers know I typically avoid spoilers like the plague, but there is no way to really sell this episode and not describe its reveals. And it is still a great episode, even when you know what is coming. However, jump to the last paragraph if you want to avoid any spoilers (or avoid tasteless humor :)). For the rest of you… into the mystery. This 4 part episode works in large part because of the villain of Eldrad played by Judith Paris. 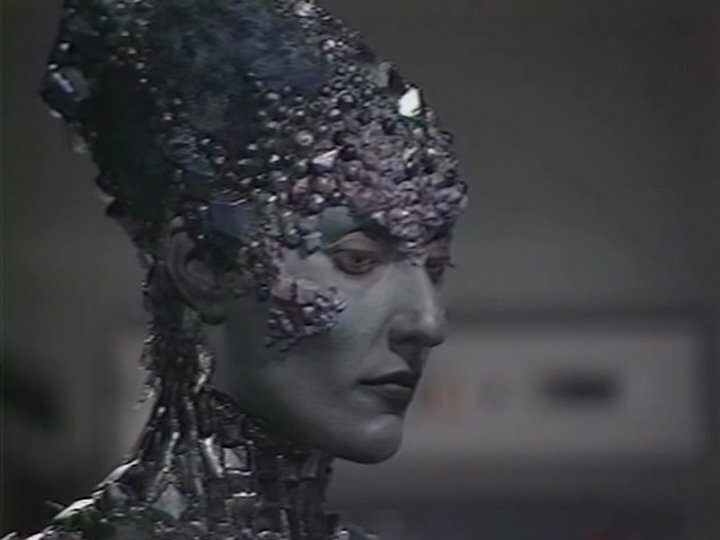 A silicone rock based creature who is one of the first scifi gender-bending characters I’m aware of. 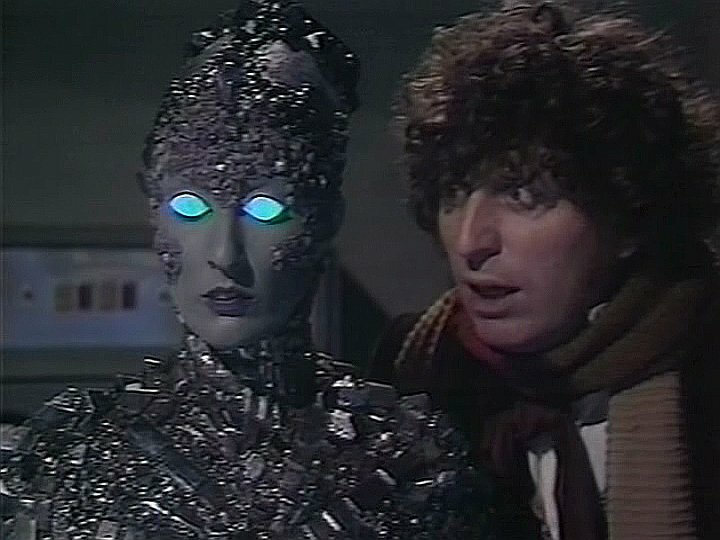 This alien menace starts out off camera as a dude, becomes a dudette, and in the final episode returns to a dude form. It’s probably just as well that I didn’t see the whole serial as a kid, as my young mind may not have been able to compute all that. But as an adult I can appreciate the entire serial. But yeah the first three episodes, and much of the fourth are just great, and again largely it’s because the villain of Eldrad is such a rich and complex character. Powerful, a bit violent, but also a bit vulnerable, it’s just a well written part, that Judith Paris I thought performed the heck out of. Wait did I say that out loud?!! What can I say that woman was frigging gorgeous. 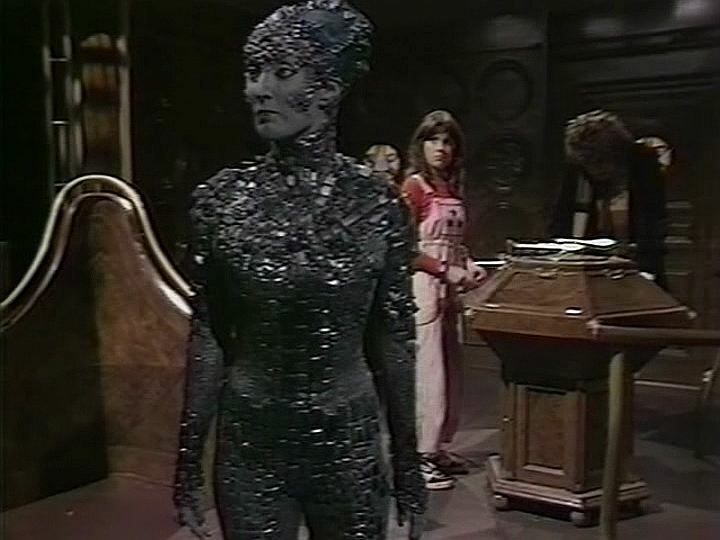 Okay there were slight problems, she was an alien menace, and she was made out of rock. Okay I see that being a minor hiccup, but hand me my ‘Ben Grimm’ condoms and cry ‘Clobbering Time!’, and I’m good. Okay getting my mind out of the gutter (I’m telling you, I’m going to find that costume and put my girlfriend in it— wait… did I say THAT out loud?!! DOH!!) 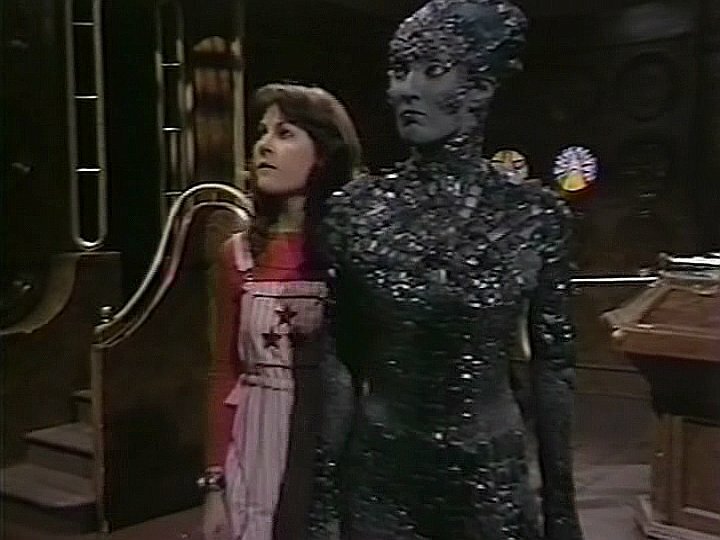 it’s just a great 4 part storyline, right up till the last episode, when Judith Paris’ Eldrad gives way to a male version. Now, I’m not a sexist, and I’m not going to hate on the rock dude villain, because he’s a dude, but I am going to hate on him because… he is effing rubbish! Eldrad turns from a complex, intriguing, nuanced character, to this blustering, shouting, scenery chewing, mustache twirling stock villain… yeah.. it is just disappointing; a glaring combination of bad writing, and horrendously bad over acting. 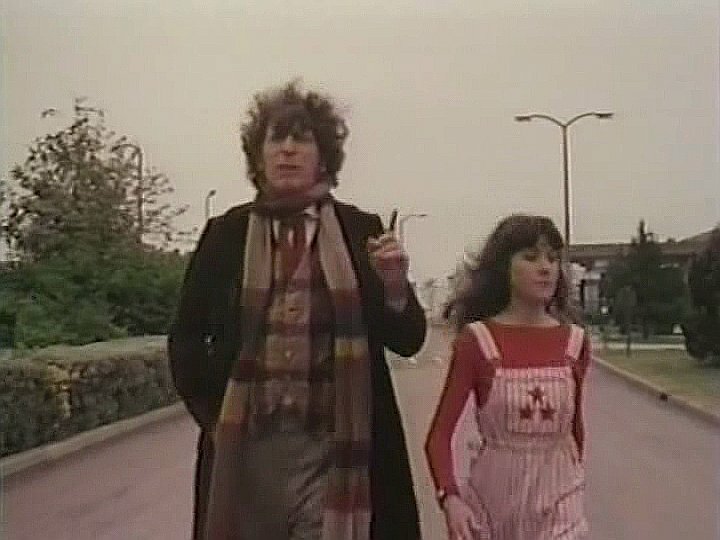 But thankfully the screen-time of the male Eldrad is brief, and the episode ends on one of the pivotal scenes between the Doctor and his companion, Sarah Jane Smith. It was a good four part-er that really showed how well these two work together and what they mean to each other, which made the ending all the more… bitter-sweet. 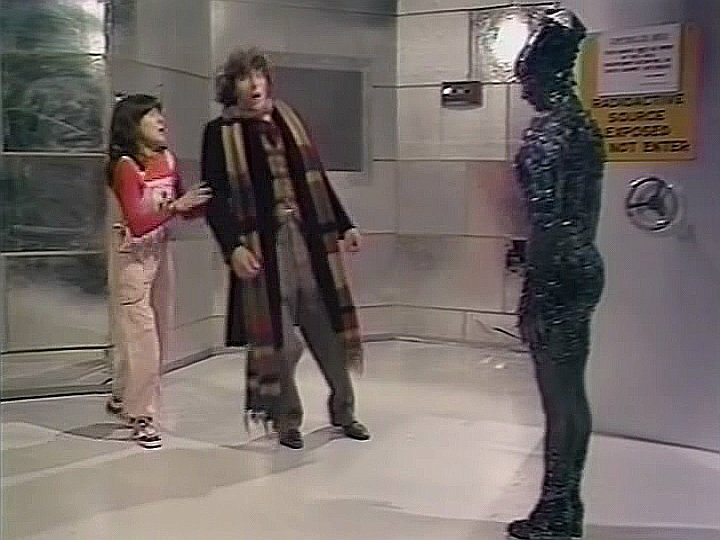 All in all it is not a perfect episode of Doctor Who, largely because of dropping the ball with the demise of Eldrad, but that aside it’s a beautifully directed, and well performed episode that comes highly recommended. Plus the DVD offers a commentary with the cast, so it’s worth getting for that alone. Grade: B/B+.